My first love broke my heart into microscopic little pieces. I honestly didn’t think I’d survive. Losing him was like losing a limb. I couldn’t function. Yet, by the time that he and I had parted ways, our connection was already severed, bleeding, broken—hanging on by threads we both imagined were there. When we met, we were idealistic, open-hearted, trusting teenagers. Three years later, we were both addicts, self-harming in our own ways, and both in the habit of using words—those words first uttered in times of gentle intimacy—like weapons against each other. We were at war—with each other and with ourselves. Together, we had become the worst versions of ourselves. But this is what made it so much harder to let go. Sure, we were sick, mentally and emotionally, but we were sick together. I kept thinking I was “over him” until, three years later, I realized I hadn’t thought about him for a whole week. Until then, I thought of him multiple times a day, especially when I walked by places we had frequented together. The city around me was a minefield. In those three years, I was with someone else. He was the polar opposite of my ex. I realize now that I subconsciously thought choosing someone I was incompatible with would protect me from future harm. Maybe it did. But it also kept me from passion and intimacy. Maybe it sounds like my broken heart healed organically, naturally, over time. It didn’t. About a month before I finally stopped thinking about my ex every day, I had an epiphany. I can’t remember what sparked it, but I remember exactly how I felt when I realized: He and I were not going to be together again. The only thing more shocking was my subsequent realization that I’d spent three years expecting that we would be! I realized that he and I had done horrible things to each other and that, regardless of our initial connection, I didn’t want memories like that with someone. I didn’t want to remember my partner voicing all my worst self-judgments. I wanted someone to feel safe with. And we could never feel safe together. Shortly after the dissolution of my second relationship, I had another epiphany: I was an addict. I smoked cigarettes. I drank too much. And I’d been using mind-altering substances in a way I thought was social, but was, truly, escapist and excessive. It wasn’t until I rid myself of my other addictions, and faced the demons I had without those crutches, that I realized I didn’t really love my ex. I was addicted to him. I thought I needed to learn to love again, but I didn’t. I had never truly loved. I got high on idealizing him, crafting him into this perfect savior who would save me from all my pain and all my insecurities. Then, I stewed in villainizing him, blaming him for tearing up my life, my innocence, my confidence. But he was just a human being, and I never saw that. I did to him what I did to myself. I expected perfection, and when I realized it wasn’t coming, I poured hot, thick judgment all over everything. I couldn’t face my authentic, real, natural self, so I couldn’t face him that way either. When I began to greet the woman in the mirror with open-minded, open-hearted acceptance of what was there, I suffered. I suffered because she wasn’t like TV, because she had flaws, because she would never be perfect. I suffered because I realized how much time I’d wasted trying to be perfect. A time came when my reflection no longer triggered revulsion within me. That was my first experience of what I call “love.” I saw someone whose beauty surpassed the pictures on the magazines. I saw a woman who was beautiful because she was a raw, real, organic part of everything. When I saw myself that way, I could see the rest of reality that way. I finally saw my ex that way—flaws and all, beautiful because he was a part of this interconnected moment. Beautiful because he was real, human, flawed, just like everyone else. That was the first time I ever really loved him. I loved him that way where I wanted him to be happy, with or without me—that way I’d heard people talking about, but never understood what they meant. When I finally loved him that way, I didn’t need him to be mine. I didn’t need him to be a part of my sad story anymore. He had his own story. He was more important than the role he’d played in my own, personal melodrama. I realized that I had spent years craving love with all my being, and I had been translating those cravings into desires for my ex. I thought I was heartbroken about losing him, but I wasn’t. I was heartbroken about losing this “love” thing that I thought came from him. But love didn’t come from him. Love came from me. It was always inside of me, this feeling of being connected to the world. I mentally hired him as the deliveryman of that feeling and suffered for years, because he wasn’t coming and bringing it. I didn’t need to learn to love again. I needed to learn to love. Now, I can experience the feeling of love when looking at a sunset. I can feel it while having a really good conversation with a friend. I feel it often while writing. I feel it sometimes in crowds of people. I feel love in those places because I let myself feel it, because I’ve come to define love as an awareness of my connection to the world, and I allow that connection to take endless forms. Because of that, I’m no longer begging, pleading, desperately for people to love me, and I am not obsessing about past relationships lost. Our relationships are just vessels for something bigger—for real love, for an awareness of our connection to life. Of course, each relationship is different, so we will experience that connection uniquely with each person, but we are experiencing connection all the same. I have come to believe that heartbreak is an incredible opportunity. It’s a chance to observe the difference between true love and addiction. It’s a chance to separate our desire for love from our expectations about where love comes from. Heartbreak is an opportunity to look at what we believe we’ve lost and realize that, maybe, we’ve never actually found it. Maybe this seems counterintuitive, but if you’re trying to stop loving a person in order to get over them, try loving them more. Try loving them so much that you don’t need them to be yours. Try loving them so much that you see the real human being instead of just idealizations and villainizations. Try loving yourself this way too. Of course, it will still hurt, because pain is a part of loss. At best, you will have lost a relationship, and that is still painful. But if you allow yourself to lose a relationship without losing love—without losing your awareness of your connection to the world—then your healing process will open doors to profound self-discovery rather than suffering, and eventually, to a higher level of intimacy with others. Learning to love showed me how much I have to give, and it’s more than I could have ever imagined. If, like me, you move onto another relationship after healing, your capacity for intimacy and connection will far surpass what you experienced in past relationships. Like this, heartbreak can actually strengthen your future relationships—but only if you take that opportunity to look within yourself. Vironika is an inspirational speaker, life coach, and author of the award-winning book The Love Mindset. Vironika helps people cultivate self-love, heal mental and emotional suffering, develop healthy self-care habits, build deeper relationships, and unleash their potential to change the world. Read more about Vironika here and get a free sneak preview of The Love Mindset. 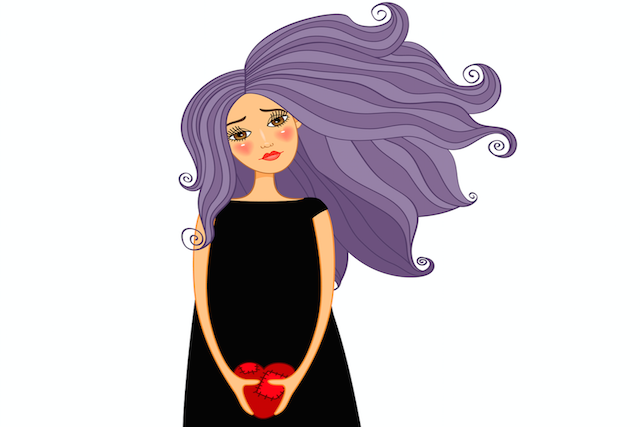 The post The Key to Letting Go of Your Ex: Love Them More appeared first on Tiny Buddha.